SUCH a rare and lovely item. 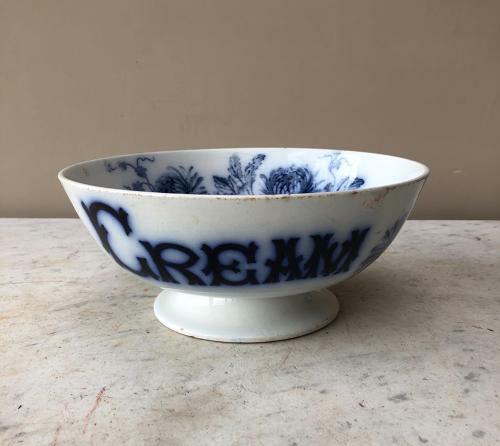 Dating to c.1870 a Victorain CREAM display bowl. Beautiful blue on white with floral pattern inside and round the sides. No restoration...Completely Original.